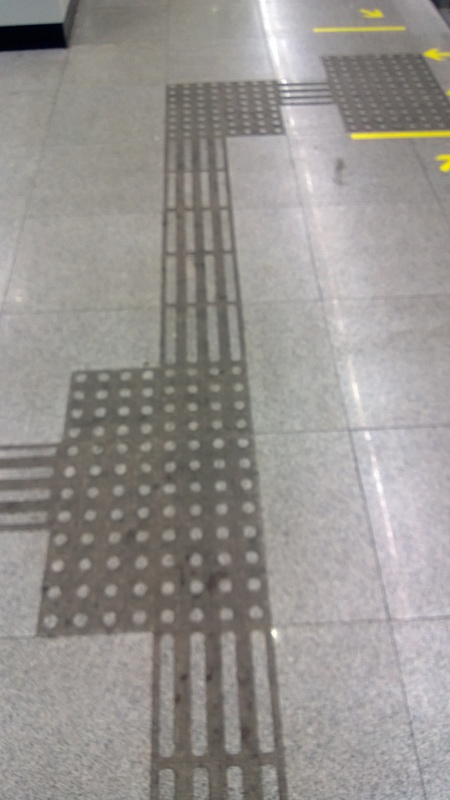 These raised dots and the longer lines are all throughout the subways and on most streets. Their purpose? To help those who are blind or with other sight difficulties to navigate. The lines mean keep walking straight. The dots mean you have to turn.